Bryan and Mary Talbot are both award winning writers and have collaborated on 3 graphic novels and are working on a 4th. 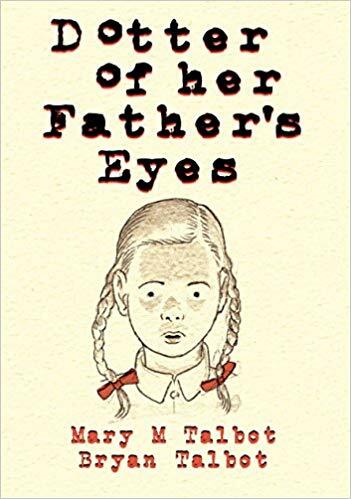 Mary wrote 'Dotter of Her Father's Eyes' in 2012, illustrated by Bryan and this work won the Costa Biography Award. The 2nd Graphic novel is 'Sally Heathcote Suffragette', written by Mary and illustrated by Bryan and Kate Charlesworth and their 3rd collaboration is 'The Red Virgin and the Vision of Utopia'. They are working on a new work dealing with current environmental issues. Bryan Talbot has published many works in comics such as 2000AD and Batman, Legends of the Dark Knight and a number of books including 'The Adventures of Luther Arkwright', 'The Tale of One Bad Rat', 'Alice in Sunderland' and the Grandville series.